30 Responses to What is a Spine? I’m assuming these bus schedules will be staggered so not 3 of the 4 buses arrive bunched and at the same time. That would ultimately defeat the spine. Is a staggered bus schedule being recommended and if so, is there any thing else that is being applied to have this spine operate as desired? > I’m assuming these bus schedules will be staggered so not 3 of the 4 buses arrive bunched and at the same time. No, no. The buses will bunch. In fact, if you can come up with a working, fool-proof method of preventing bus-bunching (and it has to work – many have been tried, most have failed) then you probably have a future in the transit consulting business. Yes, buses bunch, but scheduling them to be evenly spaced still gives you better results than if you schedule them to bunch. I’m confused – does this not contradict your argument against interlined routes providing direct access, as opposed to a simplified system relying on connections? What would the system look like if all the branches terminated at the ends of the spine? What would the trade-offs be? Because my understanding from reading this post, and your related thoughts on twitter, is that interlining and direct routing being bad or good has more to do with scheduling than network design itself. You can have a network of spines where the spines can be part of a square grid or radial with circular connectors. Lots of long routes have branches atthe end for the reasons Jarrett mentions. It costs the same amount of service hours to run a bus route every 3.75 only on the spine and a separate bus route every 15 on each branch, as running the combined branch service with the spine. Transfers are not all evil, but that doesn’t mean we should just put them everywhere. 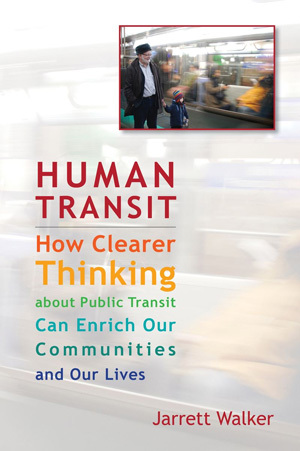 Practically speaking, you want most of a city accessible within one transfer, because two introduces too much waiting time and reliability concerns for people to make that kind of trip. Seattle used to have a “spine” on a major commuting corridor between downtown and the University of Washington, where three branches (routes 71, 72, and 73) came together at the university, then ran express service to downtown through the freeway, taking a special bus-only exit ramp into a bus-only tunnel underneath downtown, with stations every few blocks. It worked well for its time, but it had major problems. For starters, it didn’t run nearly as frequently as Dublin’s spine, with the common segment running every 10 minutes and the branches every 30. On evenings and Sundays, it was worse, with the common segment running every 15 minutes, and the branches, every 30-60 minutes, depending on the branch. Service was unreliable, as any delay in any one of the branches led to severe bus bunching in the common segment. There was also a huge imbalance in demand between different parts of routes; in the common section, you would often have to stand, and sometimes get outright left behind – even outside the normal commuting hours (especially on weekends, following any kind of large event downtown). Yet, on the branches, the buses were half-full at best, sometimes, mostly empty. If you were leaving downtown and needed your particular branch to get home, every once an awhile, a full bus would leave you behind, due to all the hordes of people traveling the common section, leaving you with a 30-minute wait for the next bus. On top of all this, the route was designed to make optimal use of a special section of freeway which reversed direction in the middle of the day, to carry inbound traffic only in the morning, and outbound traffic only in the afternoon. So, the reverse-direction trips (also, extremely crowded) were stuck on surface streets with stoplights. And, due to additional penny-pinching on the agency’s part, they didn’t want to run the local shadow on evenings and Sundays, so the spine routes switched to an alternate “local service” pattern, where they would take the surface route – even when the freeway was open in the correct direction – stopping at all the bus stops along the way. Many of these stops would have just one person getting on or off, but still took over a minute because that one person would have to squeeze through a very crowded bus to get to the door. Eventually, light rail took over university to downtown route, and the “spine” that had served the corridor for the past 50 years was quickly and suddenly dismantled. All that remains is the “local shadow” route (#70), plus a couple of infrequent coverage routes connecting the spine’s tails to the light rail station. The service restructuring was not without its controversy, as it added a forced transfer to the train to many trips that were previously a one-seat ride on the bus. Also, the station was in an awkward location, about a mile off from the university’s center of demand, and was designed in such a way that buses couldn’t load/unload passengers right at the station, but had to make passengers walk a few hundred feet to make a connection. Nevertheless, it was a huge improvement over the “spine” mess we had before. And future extensions of the light rail will add more stations, and eliminate much of the transfer awkwardness. Hopefully, Dublin’s spine is better than this. At least their routes are much more frequent, which is a good sign. >> Nevertheless, it was a huge improvement over the “spine” mess we had before. I wouldn’t say that at all. My guess is most of the people spend a lot more time getting to downtown from parts of the U-District (the shared corridor). Metro did add a lot of service, but it isn’t clear whether that makes up for the fact that a lot of people have to go well out of their way to get downtown from the University District. It all depends on where you are, really. Some came out ahead, some came out behind, Given the obvious advantage of a multi-billion dollar subway extension, it is hard to call that restructure an unqualified success. I think changes in the future will be much easier (and likely will lead to very successful restructures). In any event, those buses were a weird spine, since they had a big gap in the middle, which was made up of freeway travel. Since downtown travel in Seattle is made up of several buses, that particular set of routes was a spine within a spine. Those are common throughout Seattle in places like Magnolia/Ballard, West Seattle, Queen Anne, etc. The awkward location is temporary (5 years) until the next phase comes online. Also, what the agency calls a “spine” is the light rail network itself between Everett, Tacoma, and Redmond. Seattle has this, big time. You can see that by looking at this transit map: https://seattletransitmap.com/app/. Seattle is an hourglass, with downtown in the middle. That means buses funnel into the middle, and you can get from one end of downtown to the other. A bus tunnel was built in the 1980s, and that was a major part of it. They even had a “ride free area” where riders could travel downtown for free (as a way to promote downtown). Now that the light rail takes up a bigger part of the tunnel, the surface streets handle the load. Third Avenue is more or less a transit mall, and carries about 100,000 thousand riders. I’m not sure how many are only going from one end of downtown to the other, but the numbers on the bus tunnel were significant (for both the train and the buses). Since the buses come more often (basically with every traffic light cycle) and you don’t have to walk far (no deep tunnel to navigate) I would imagine lots of people use the buses just to go a few blocks. Fairly soon,there will be off board payment stations, which should make the flow even faster. Seattle is slowly evolving to more of a grid, but there will still be plenty of buses that funnel into downtown, just because of the geography and relative demand. In terms of terminology, I always called this a “trunk and branch” system, since if you looked at it from a frequency standpoint, the trunk is very high, while the branches are not. I’m curious as to whether that terminology is used much (or if everyone in the industry just calls it a spine). Is it still so important to create a simple and easy-to-remember network when a lot of people use apps to check routes and real time data all the time? Is it still important to create a simple and easy-to-remember network of roads when a lot of people use apps to check routes (maps) and real time data all the time? Quite apart from the number of people who don’t use the apps, why not make a system so easy that you don’t even have to check it? Or just check to confirm. Also, a simple network will give people a quicker answer if they do check it. People will gravitate to what they can remember easily, every need to look at an app or paper map/schedule is a pain point that makes a system harder to use, and therefore less likely to be used. Absolutely. First of all, apps are far from perfect. Second, buses often travel ahead of or behind schedule, causing connections to be missed; it’s important to have a simple network so that if you miss a connection, the next one is at the same place rather than several blocks over. In Arlington, Virginia, where I work, there’s a spine service on Columbia Pike, and I use it a lot. Some of the buses are branded Pike Ride, but a lot of other buses run up and down the Pike too, and though I’ve been able to memorize where some of the routes go, my biggest problem is not knowing where each branch leaves Columbia Pike. Going anyplace different from my usual trips requires research to see which buses go far enough down Columbia Pike and where they go once they leave it. The Columbia Pike streetcar would have run in mixed traffic, but if it had been built, at least when I saw a streetcar I would have known where it was going. Metrobus recently culled the branches of PikeRide to a manageable and memorable level. 16 C starts at Culmore. 16A starts in Annandale. These routes serve Pentagon Metro, though some of the C’s go into DC (formerly the X). 16G has an end-loop in the Arlington Mill neighborhood (aka Columbia Heights West), while the 16H starts in Skyline. These two end in Pentagon City. The 16 Y is an odd peak period peak direction duck, beginning by Goodwill at Buchanan, then deviating off the Pike on S. Courthouse Road to 50 and into DC. Columbia Pike also has two ART routes (served by green buses). The 41 connects the Arlington Mill neighborhood with Glebe Road, Ballston, Clarendon & Courthouse. The 45 connects the Arlington Mill neighborhood with S. Courthouse Road & Arlington County Human Services, then N. Barton Street, Courthouse and Clarendon. I wonder how high of a penetration rate transit apps have in major metros. I expect that most regular users of transit have downloaded their agency’s app. But if most other residents have not, then that’s going to be a barrier to increasing bus use – especially if they’ve already got Lyft/Uber right there on the phone already – unless the system is designed in a way to be easily understood by novice users. Barriers to entry can be significant. I was recently on a trip to Boston with my family. Having lived in Boston for many years, I was intimately familiar with the general geography of the T. I used to use it all the time – but when faced with having to: i) figure out whether my kids had to pay fares; ii) figure out how the new Charlie cards worked; iii) guesstimate how many trips we would end up taking (since some destinations over the week would be far from a stop)….well, we just ended up using Lyft instead. Roughly the same price; I never had to work out any routes, stops, or timing; I never had to download or learn to use a new app; and of course the convenience of door-to-door travel with accurate estimates of arrival times. 1. Since they normally run through the congested city centre reliability can be poor. That is unless there is bus priority. While this is desirable there have been many cases where the easiest path of splitting routes in the CBD has been taken (improving punctuality but forcing transfers for short inner city trips and in some cases causing unproductive overlaps). 2. Labour costs. Once the trunk spine frequency gets to be very high the benefits of adding frequency decline. You can convert spine routes to articulated buses to improve passenger capacity per driver. However reliability and people being left behind may be an issue. 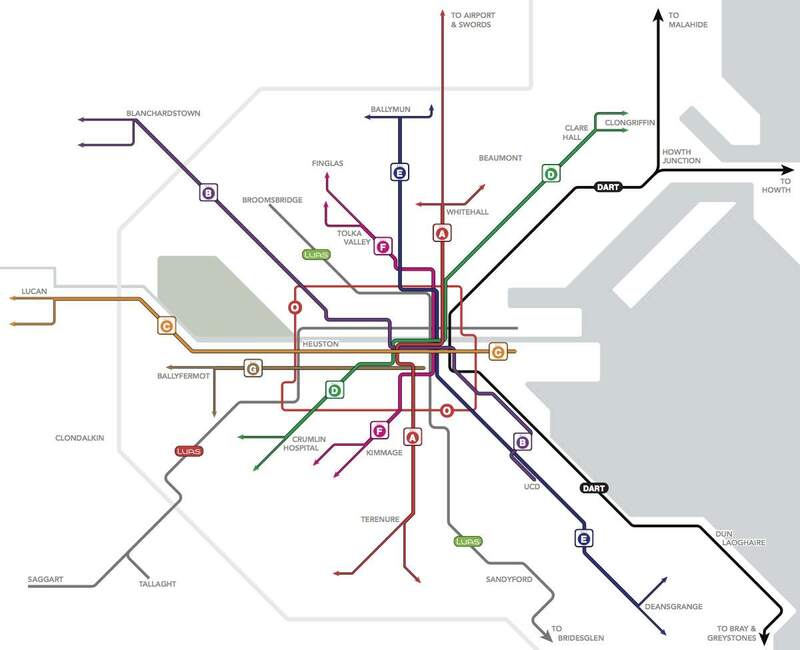 So, as mentioned above one might convert the spine to a dedicated busway or light rail route with off-trunk routes converted to feeders or frequent orbital routes (that can improve inter-suburban access but force transfers for CBD trips). (2) is correct. (1) is a separate problem. Drawing terrible routes because congestion is bad is not a way to improve public transport. You have to fight for the right of bus service to be where it needs to be to serve the customer. The spine and branch principle is the default UK urban bus network, most likely due to a geography of radial main roads with an infill of residential streets between. Most of these networks will have a different colour for each route which doesn’t clearly show the spine section. However municipal Nottingham City Transport does allocate a common colour to all routes on a spine, with the spine section being in bold and designated “High frequency routes to the city centre on Monday to Saturday daytimes”, with the branches being thinner lines. The colour coding extends to the actual buses too. A transit-supportive city like San Francisco can focus transit- related roadway and pedestrian improvements on a spine, like Market Street. But some cities have spines and don’t optimize them for transit. This is the first transit diagram I’ve seen in Irish (or Scottish) Gaelic! Is there any advantage to using letters or numbers for route identification. We are just using letters for spines and orbitals and numbers for all other routes. Trying to make the structure visible. Sorry Mr Walker your proposed re design for Dublin Public Transport is non runner. Your proposals are designed to further clog up the traffic in our city. This Dublin Ireland not the USA! HAVE BEEN TO SEVERAL MEETINGS ABOUT THIS AND THE OVERWHELMING OUTCOME IS TOTALLY OPPOSING YOUR PROPOSALS. Rose. Who explained the plan at the meeting you attended? The NTA? If the speaker was the National Bus and Rail Union, you were fed lies and exaggerations designed to confuse you about the plan and make you angry. It is the opponents of the plan who want to strangle the city centre with unmanageable numbers of buses, by insisting that every cul-de-sac in greater Dublin have a direct bus to the city. Learn about the real plan at busconnects.ie. Lol! We in (most of) the USA would love to have transit service that is half as dense as yours is! If you truly want transit representative of (most of) the USA you’ll need to cut route frequency back to hourly (maybe half-hourly if you’re very lucky), one-way loop routes, no service after about 7 pm or on Sundays (and maybe not on Saturdays). It would be interesting to hear your thoughts on the urban bus network in Kyoto. There is no adjacent station on either the Hankyu or Keihan lines to JR Kyoto station, so these companies rely on good connections to the rest of the city from the Karasuma and Sanjo areas respectively. The result being a high (ish- 15 minutes on many routes I believe) but very complex bus network that can be difficult to decipher from the official map. I wonder if it would be useful to visitors if the services in that instance were somehow branded according to the above hub(s) they served as opposed to spines they shared? I like that route nomenclature where the spine gets a letter and the branches get numbers. There are probably a lot of systems that have routes that operate like this but where it’s not obvious because instead of the A1, A2, etc, it’s the 17, the 24, the 15B, and the 65. There are probably even opportunities out in the real world for agencies to superimpose this type of branding on existing routes where each route would retain its old number (so those resistant to change have nothing to gripe about) but gain a Spine/Branch branding, maybe like the A1, A2, etc, or even just a color (I note that each lettered spine family above also has its own color … wait, it’s Dublin, so colour). Interesting food for thought. Thanks. I am a regular user of the 40D, I could drive but choose not to. I also listened to those providing information, yes politicians, I read materials available which really would have benefited from a journey planner – enter start and end location and here is your buses and theoretical journey times. Where screaming from the rooftops starts is if people can’t get simple answers to simple questions. I emailed twice looking for information, no response, I filled in the online form, no response. I then went to the public open information in Blanchardstown and put it to the NTA delegate about longer journey times, less buses going down the Navan Road less wheelchair he couldn’t refute my points in fact his only solution was to increase frequency. I did make the suggestion of keeping the 40D during peak times and hourly off peak and he did concede that could be considered. Blanchardstown during October and November is gridlock – even for buses so I have a hard time getting to grips with this concept. I always do what I can to research facts to make opinions and I am receptive to the premise that progress comes through change. However, if information is figure it out yourself with no response to requests for details and open day presentations can’t answer questions accurately then I’m afraid it’s disingenuous to criticise people for listening to people at least trying to answer questions. Should I be happy that I on Saturday can travel to somewhere random far quicker but my commute requires 2 buses or a long walk a bus and a Luas everyday, Im sorry 10 journeys of hassle will push me into a car. More needs to be done with version 2 to ensure communities are impacted. The Kevin Carter diagram is very clear and nice to look at, but it doesn’t reflect the disparities in branch length. The round trip time for A1, Whitehall – Clongriffin, will be about 60 minutes, allowing some layover tim at the terminus. For A2 – Airport – it should be about 40 minutes, and for A3 DCU about 20, but A4 Swords could be 90 minutes. It will be an interesting control exercise to get the returning services to slot in evenly to provide the regular 4 to 5 minute service south of Whitehall. If buses run early, fixed time stops before the merge point could be useful, but as against that, if a bus from another branch is late, you might wish to override a fixed time on some occasions. Looks like skilled on-the-ground inspectors may still be needed, preferably with a supply of standby buses to fill gaps. Home › Basics › Dublin › General › What is a Spine?